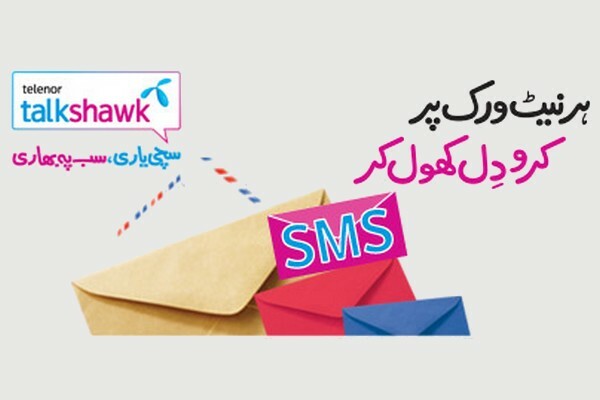 Telenor Talkshawk Have many SMS offers For you and you Can subscribe To any one. The all Telenor SMS Packages are best in price Because All Of Them Are On Affordable Prices. Telenor Talkshawk SMS Bundles Contains best range of quantity. You can avail any one from the huge sms offers like Talkshawk Daily SMS Bundle Talkshawk Weekly SMS Bundle, Talkshawk 5 Day SMS Bundle, Talkshawk 15 Day Economy SMS Bundle, Talkshawk 15 Day Value SMS Bundle, Talkshawk 7 Day Mini Budget Offer, Talkshawk 50 Minutes Mini Budget Offer and Talkshawk 100 Minutes Mini Budget Offer that are the most cheapest Offer. The other cities offer are Sindh Offer, Multan City Offer, Meri Pasand Offer, Talkshawk SIM Lagao Offer and Talkshawk 3/3 Offer that are fully free to entertain You. Telenor Talkshawk ‘Mahana Rakhwala’ Is Also a Best Offer For Telenor Customers So That When They subscribe to This Offer They Can Entertain You For The Whole Month Within Low Rates. The more one are the Telenor TalkShawk sms messaging offers that include Talkshawk Daily , Talkshawk Weekly , Talkshawk Monthly and Talkshawk 15 Day SMS Bundle for you.